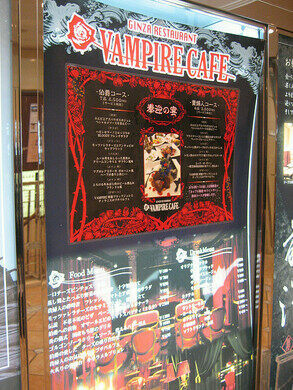 A far cry from the sunny, commercial milieu of Ginza, the Vampire Café begs customers to enter a Gothic paradise, aptly blending tourist kitsch with the decor of Dracula’s VIP room. 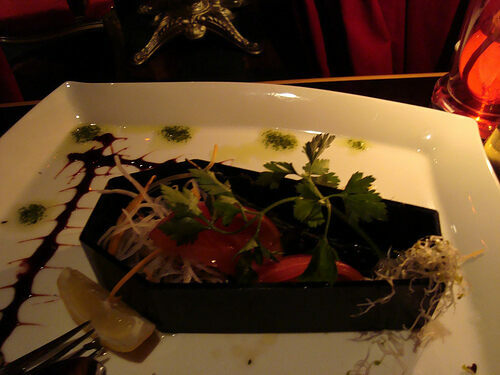 Covered wall to wall with red velvet, and carefully decorated with a delicate touch of morbid flair, waiters take orders in snappy tuxedos and waitresses in French maid outfits glide across the red floor covered in red blood cells. From the decor to the dishes, every last detail is crafted to create a vast and eerie dining landscape. 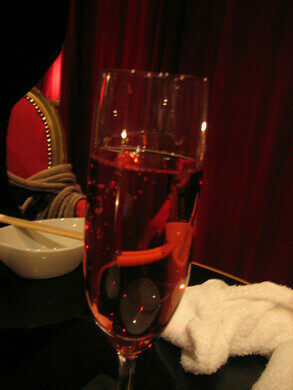 While sitting at red-covered thrones, diners can sip a dark red aperitif garnished with tiny skulls. 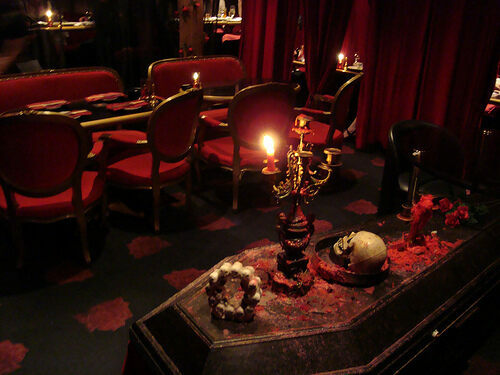 The light from candles atop coffins flicker with a supernatural aura powerful enough to make Bram Stoker work up an appetite for more blood-soaked treats as baroque music drones through the dim restaurant. The atmosphere is enough to make patrons forget the lively world of flagship stores and luxury shopping just seven floors below them and sink in their teeth.